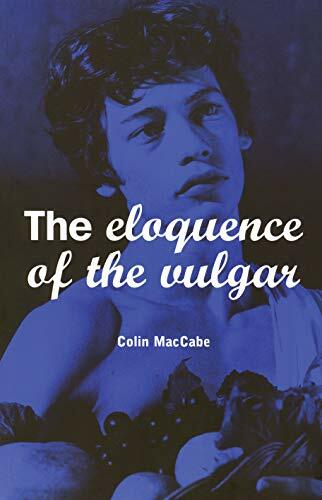 In The Eloquence of the Vulgar, the distinguished academic Colin MacCabe reflects on cultural change from Shakespeare to Derek Jarman, on the institutional forms of knowledge, on the links between popular and elite art, and on the role of the intellectual in contemporary life. A radical argument emerges from the book's diverse concerns. Cinema and television - the new and democratic art forms of the twentieth century - demand a fundamental rethinking of our concepts of language and culture. What is at stake is the very idea of a liberal and humane education. Colin MacCabe has been professor of English and the University of Pittsburgh since 1985. In 1998 he also took up a Chair of English at the University of Exeter. He worked for 13 years at the British Film Institute, first as Head of Production (1985-9) and then as Head of Research (1989-98).